My next stop was Iona Regional Park. 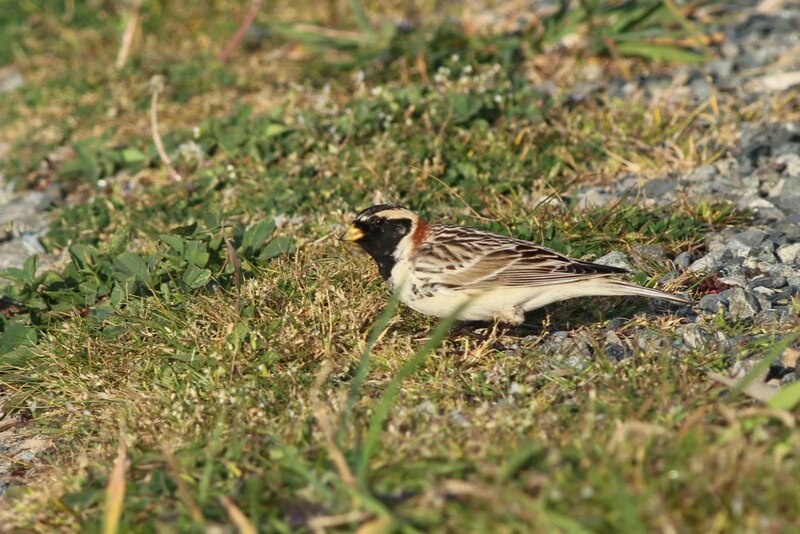 My target was a Lapland Longspur that had been seen on the South Jetty, about 2/3 of the way out. 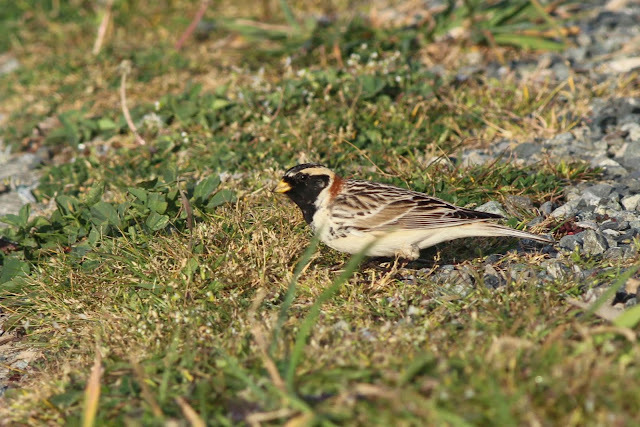 Longspurs are related to Sparrows and are commonly seen in the far north during breeding season. 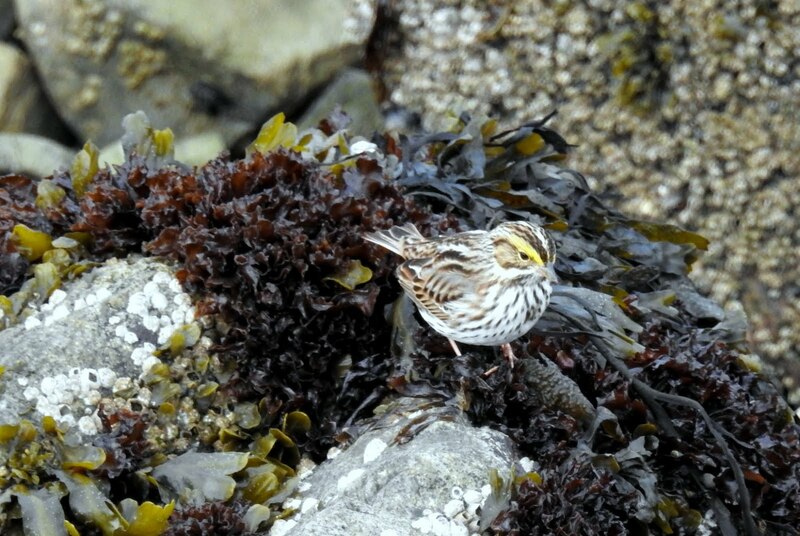 They are seen during migration at Iona, where the Jetty offers a tundra like habitat with rocks and open ground. I believe I caught one glimpse of the Longspur on my walk, enough to count it on my year list. I'll post a photo from a previous year when I get to that point in this post. Some days the long walk on the Jetty can be unrewarding. It's 4 KM out and 4KM back with the ocean on both sides. Today would be a special day with much to see. 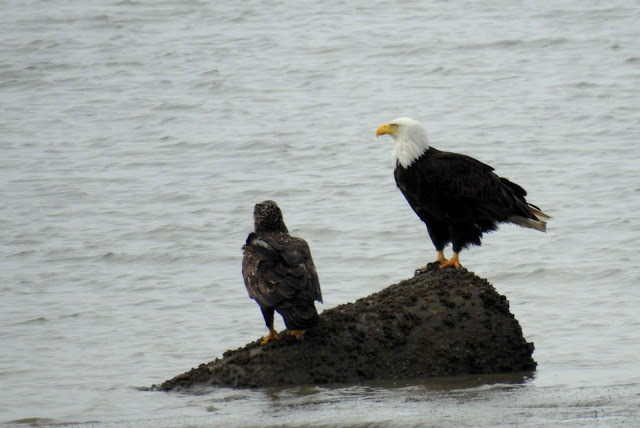 The first birds I saw was this pair of Bald Eagles, an adult and juvenile on a small island as the tide went out. 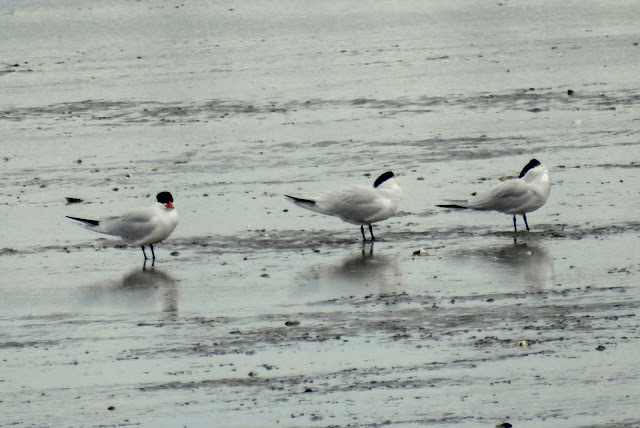 I heard some croaking noises and spotted a group of Terns on the tidal flats north of the jetty. The sound indicated Caspian Terns, and my visual ID confirmed it. The key identifying features are large size, black legs and bright red bills. 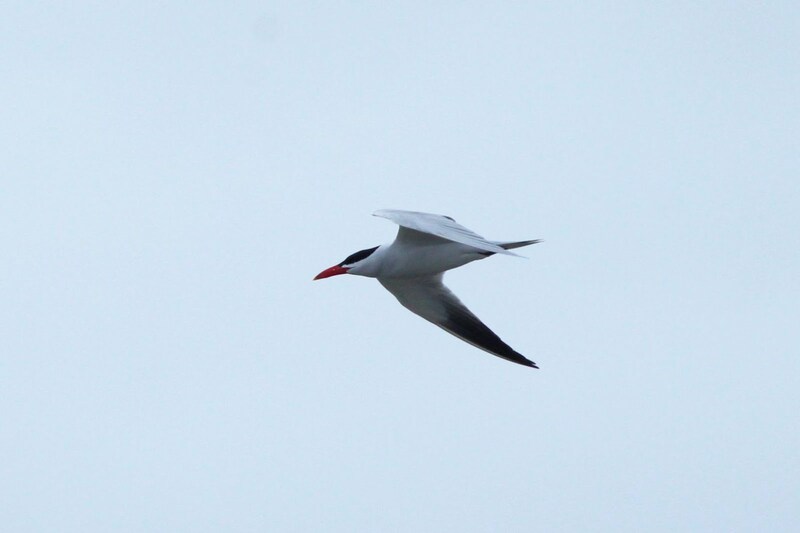 The top of the head looks flat, it is rounder on the Common Tern, the only other likely possibility here. A bit further along I spotted a group of ducks swimming towards shore. 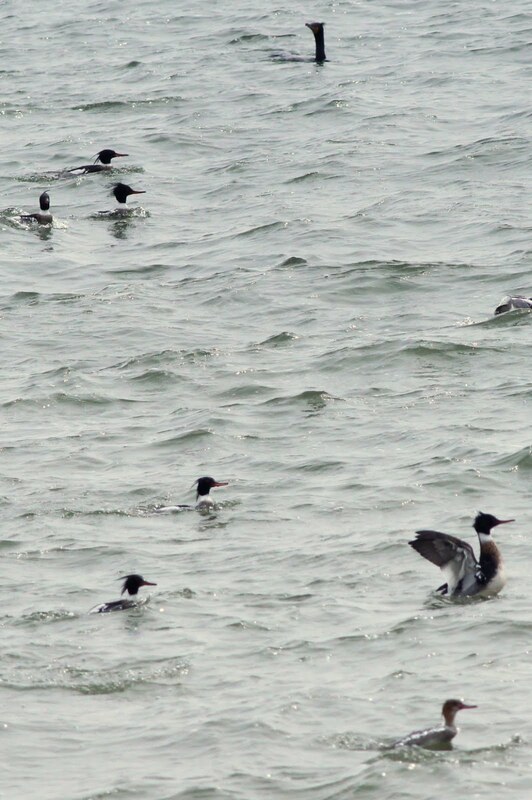 They were Red-breasted Mergansers. I see this species at Point Roberts quite often, but normally only females. This was a mixed group of males and females. The crests on both are very distinctive. The males are the more colourful birds on the right. A Caspian Tern flew overhead, showing off the field marks described earlier. Also showing was the dark primary feathers on the underside of the wing. Another bird that is seen at times at Iona is the Bonaparte's Gull. 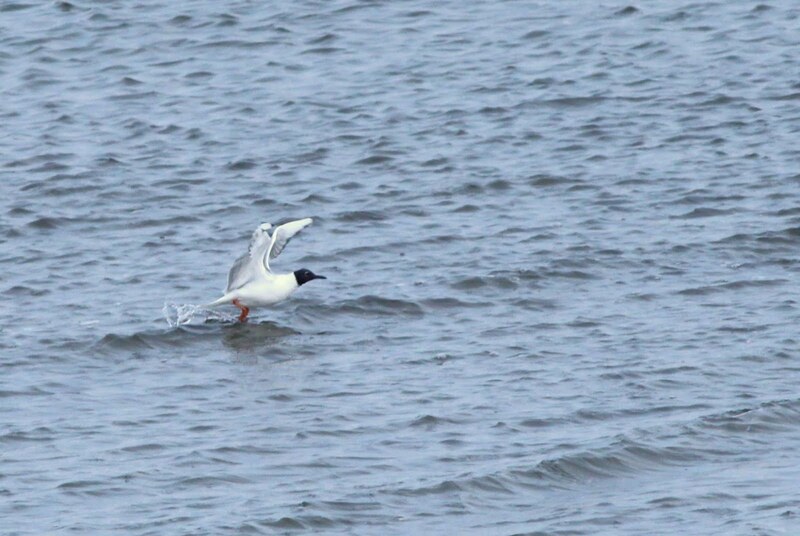 This small gull is easily identified in breeding season by the black head. It has distinctive red legs, which can help in non-breeding plumage. It also is normally seen in large groups. I was now about halfway out on the Jetty. 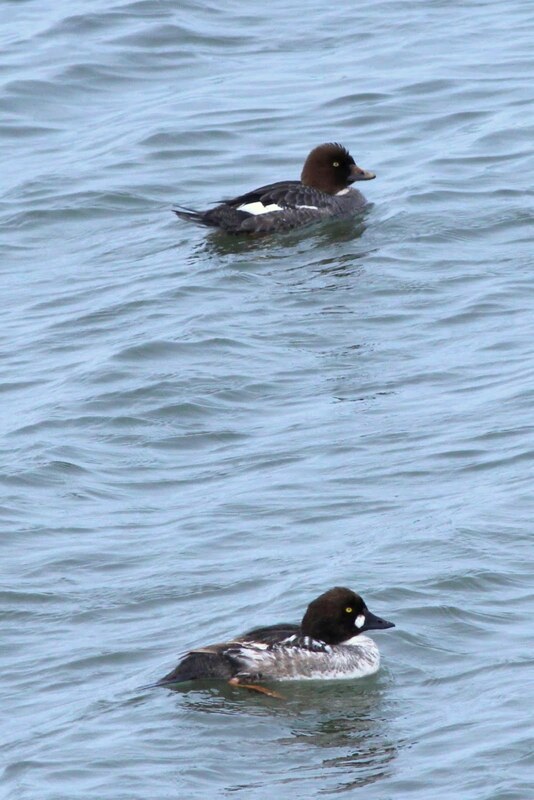 A pair of Common Goldeneye ducks were fishing just off the jetty. The female is the top bird without the white cheek patch. Another kilometer of so later I caught a brief glimpse of a colourful sparrow sized bird. 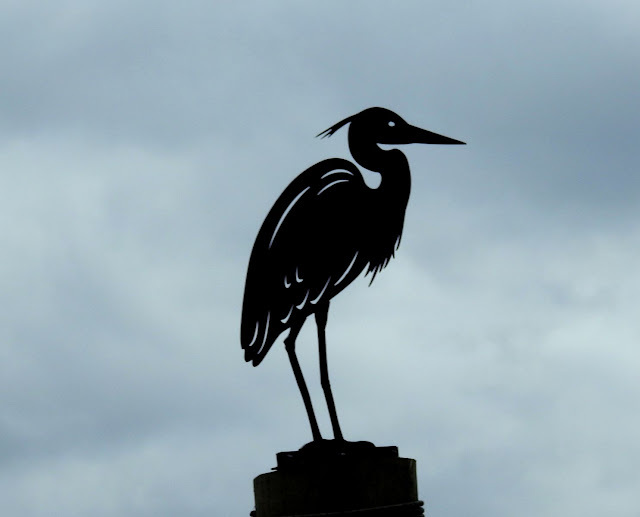 Another birder had seen it in the same area that day. 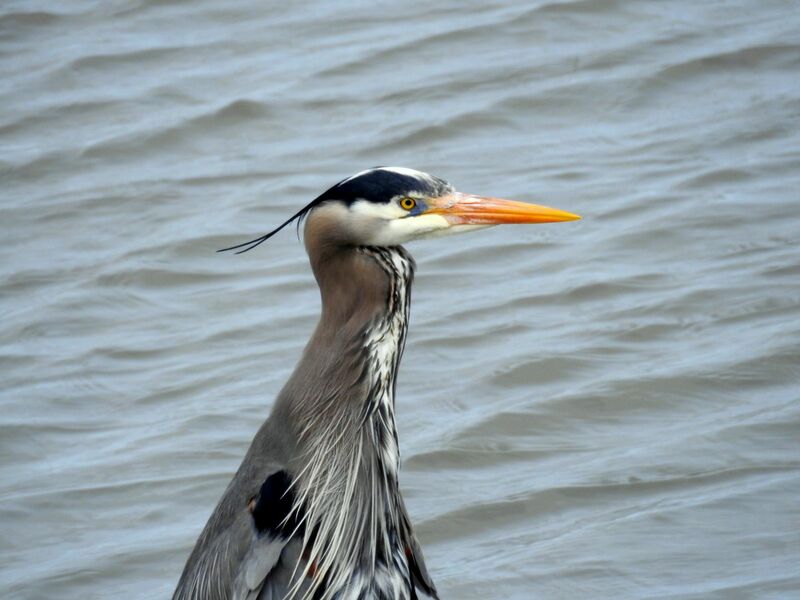 This is a photo taken of a male on April 21, 2015 at Iona. The bird reported this year was also a male. 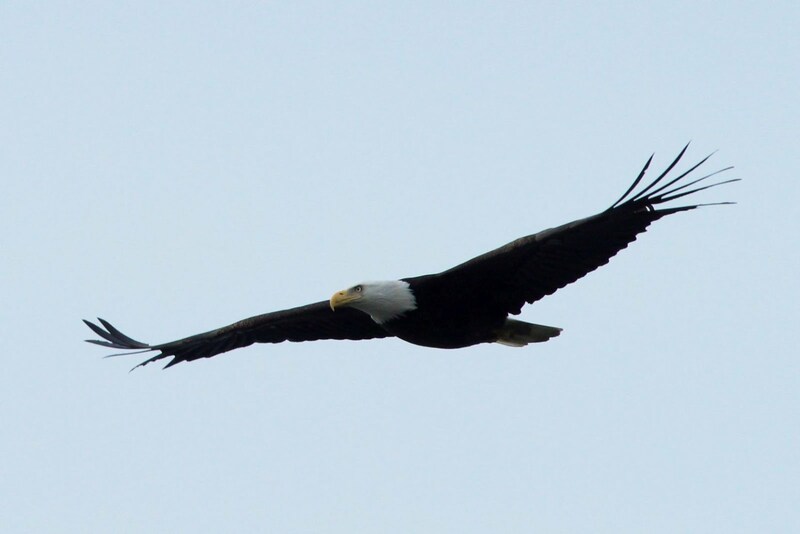 Another eagle flew over showing all its splendour. At the end of the Jetty there's a viewing platform that looks west. 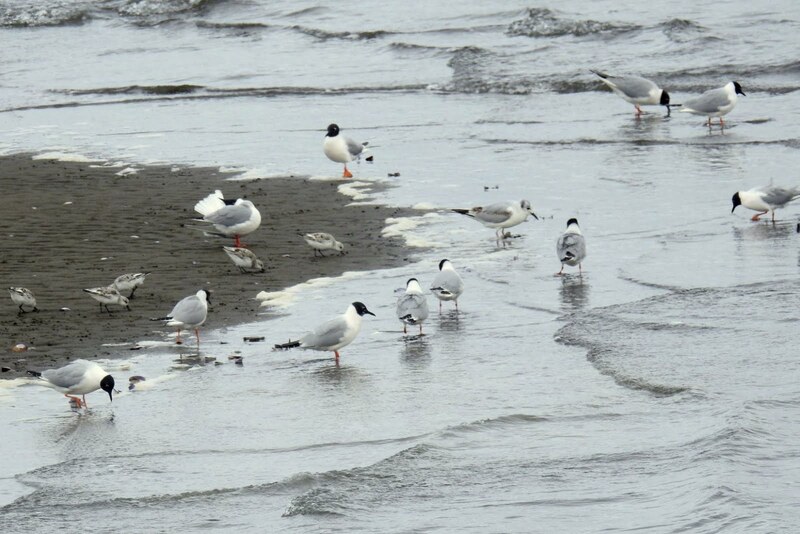 If you look down, there are large rocks where shorebirds sometimes congregate. Today there was a lone Savannah Sparrow, a bird that I had not yet seen in 2017. It is identified by the yellow eyebrow and the black streaks on the breast. 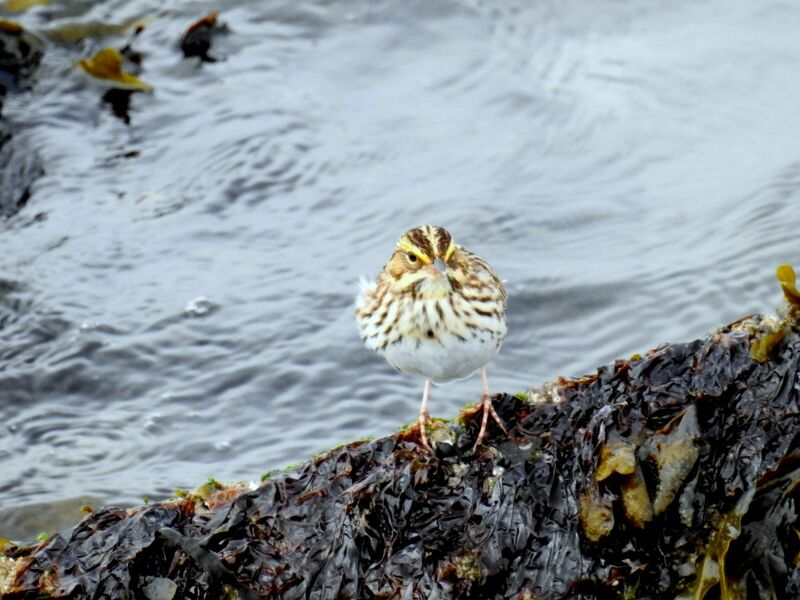 This bird was hopping around on the rocks. 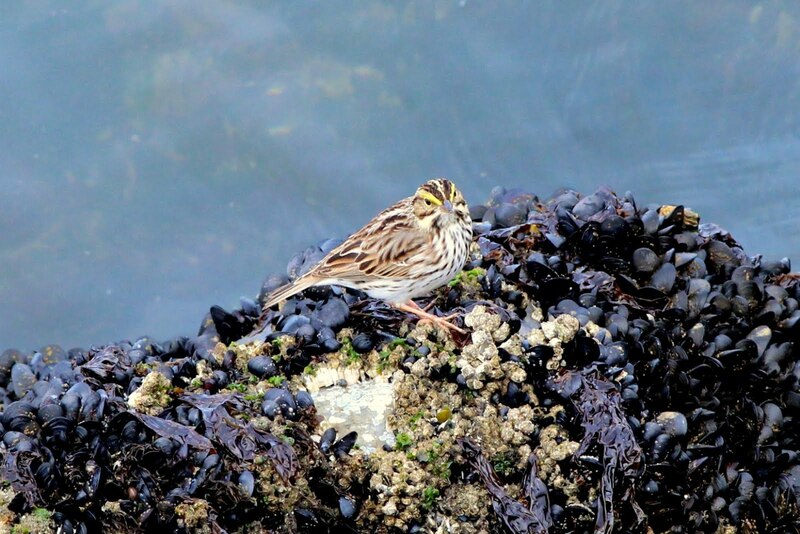 I tried to get some artistic captures with the bird on the rocks with the seaweed. I started back towards shore. About one kilometer later a large sandbar had been uncovered by the tide. 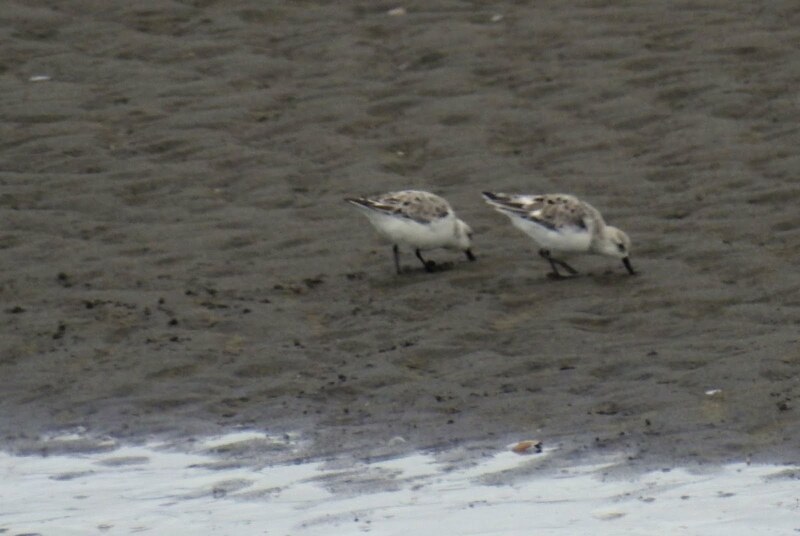 It was being shared by Bonaparte's Gulls and some small shorebirds, appropriately named Sanderlings. 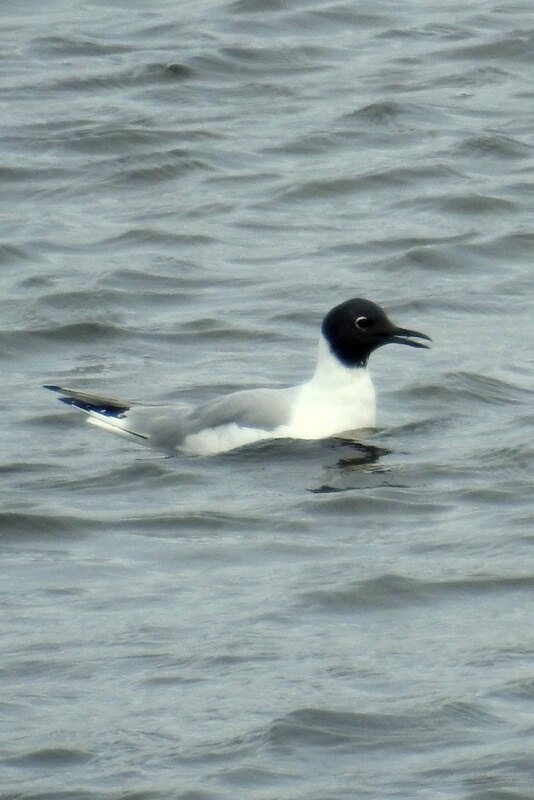 These ones were in breeding plumage, in winter they are predominately white and pale gray. Here's a shot of the Sanderlings and Gulls together. 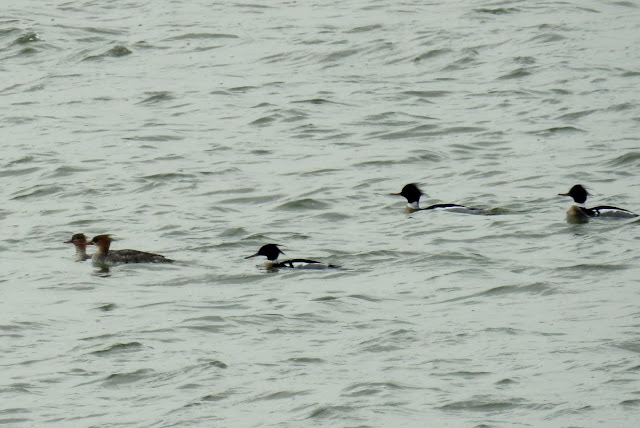 On my way back, I saw the Merganser's again. This is more than I've ever seen at one time before. It had been quite the bird-filled day, I was happy to get home.